Structural problems occur when the property ages, when exposed to extreme weather conditions, and when there is poor or lack of proper care. For homeowners, this can become one of the most expensive structural repairs they would have to deal with as part of the property maintenance. The older the house becomes, the more prone it is to show signs of structure issue that often require immediate action. 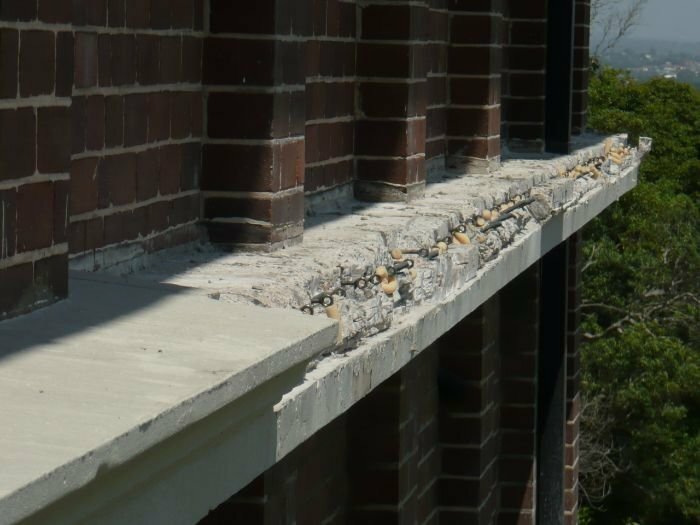 The spalling of concrete causes ugly appearance on houses as chunks of concrete fall off the wall, beams, ceilings, or floors. “The word Spall in engineering, describes the chips or fragments of a material that is broken off a bigger object. The process of spalling also known as spallation is the surface failure that occurs when a material such as concrete, brick, or limestone is subjected to excess moisture, corrosion, weathering, and much more. Concrete spalling commonly known as (concrete cancer) is an eyesore and has the potential to be an extreme hazard,” a definition taken from civildigital.com. If left untreated and exposed to both natural and chemical elements may cause extensive structural damage. At a low level, simple reapplication job can fix the problem, however, when the damage reaches the reinforcing bars within the concrete, fragments could fall off which results to serious consequences. Inadequate preparation of the reinforcing steel during construction. The reinforcement steel are too close to the concrete surface. Rain water may seep through and cause the steel to oxidize. Incompatible materials placed together, causing a reaction that allows water in. Stressed fractures from heavy weight or wear and tear allows water to seep through and damage the steel. When the concrete is damaged shallower that 1/3 of is thickness, then it shall be repaired but when it is deeper than 1/3, steel bars might be installed and a full depth restoration might be needed. When the rebars are exposed and are corroded, be sure to clean them before starting the restoration process. Using a wire brush clean the steel bars thoroughly and apply a protective coating to prevent this from happening. When the problem is over a driveway or horizontal surfaces such as plazas and/or sidewalks, a cementitious overlay might need to be applied. After the overlay has set completely, a waterproofing membrane should be applied to prevent the spalling from happening. For an effective repair process, be sure to remove concrete to a depth of at least 1.5 inches. Clean and remove all debris before starting. Patching might be done extending at least 4 inches beyond the concrete spalling area. These issues can be prevented if the building contractor will follow the proper construction techniques, follow every measurement accurately, and use materials that aren’t substandard. Lamar Buys Houses has worked with homeowners who are fed up with too many structural damage. It is an understandable situation since the work needed for this type of damage is somehow costly. At lamarbuyshouses.com we respect a family’s decision to move away to get rid of a property causing financial stress. We buy houses in San Antonio in exchange for a fair cash offer and we often complete transactions in as little as 5 days. If you are in need of money right away, then lamarbuyshouse.com/ can help you. Visit us today for more information.